We've experimented with many ways to create a logo tag to use for our Etsy shop and this method is by far the cutest- at it's super simple (this would also be great for making gift tags). All of the supplies for this project came courtesy of Consumer Crafts. You will need some card stock, washi tape, baker's twine and a hole punch. 1. Before you start constructing your tags, you will need to print out your logo on the card stock. We fit 44 on one page- 11 across and 4 rows. 2. Trim the edges off of the card stock. 3. Put a strip of washi tape across the top of each row. 4. Cut in between each row. 5. Punch holes in the middle top of each individual tag. 6. Cut in between all the tags to separate them. 7. Cut pieces of baker's twine. Ours are about 11 inches long. 8. Tie the two ends together. 9. Slip the knot through the hole punched in the tag. 10. Put the knot through the loop in the twine. 11. Tighten and you are finished! Just do steps 9-11 again to attach the tag to whatever you wish. This is everything we ordered from Consumer Crafts for a little over $50. There are so many things on their website that we had the hardest time choosing what to purchase! You can buy almost any craft supply you could dream of on their website, and for a very reasonable price! 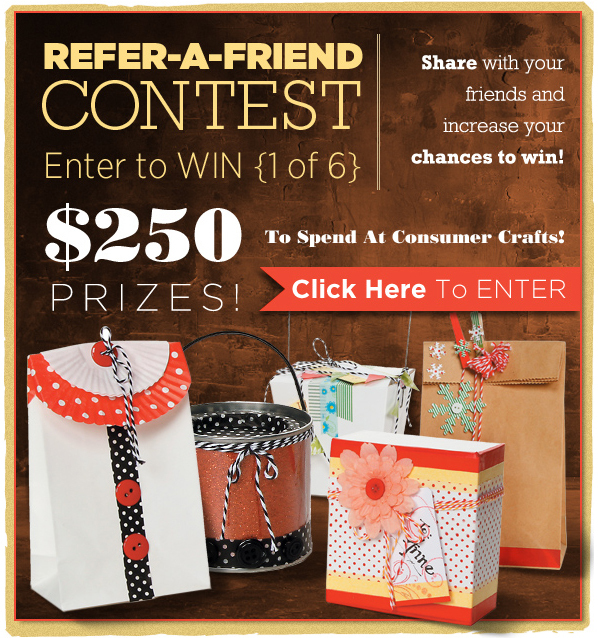 Enter for a chance to win free things from Consumer Crafts! 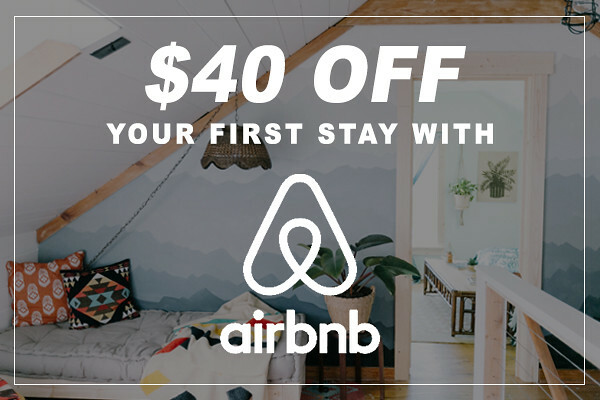 All you have to do is refer a friend! These are so cute. I love how you used the washi tape.